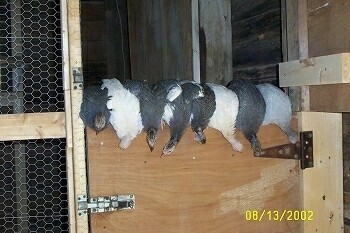 Now eight brave guineas perch on the door! While the cats linger below. 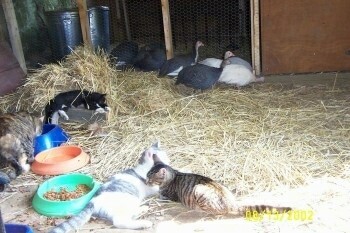 And the guineas check out the cats. 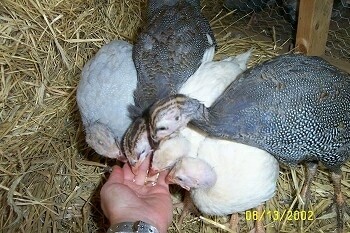 Six of the eight guineas decide to venture on down outside their coop into the barn, while two guineas decide to go back into the safety of the coop. The guineas outside the coop get a tasty treat of white millet. 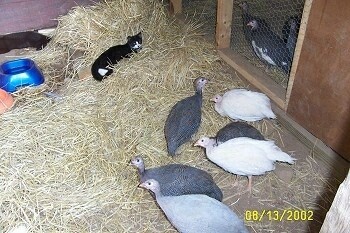 The cats do not pay too much attention to the guineas. 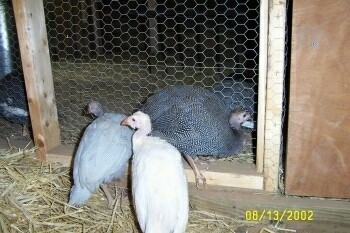 After a few hours the guineas try to get back into the coop by walking THOUGH the chicken wire. They seem to have forgotten that they flew out though the open top stall door. One by one I put them back on top of the door to jog their little memories. 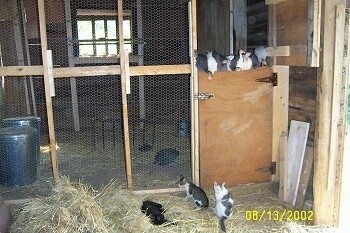 They will hopefully soon figure out how to get in and out. 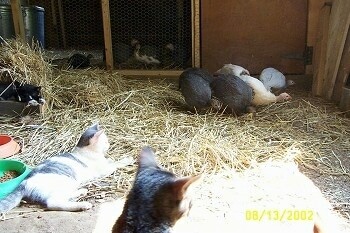 It will only take one guinea to figure it out because they all seem to copy each other.